To tell the story of Doll noodles, one must start with its founder Harry Wong. The son of Wong Fu-sheng (王福昇), a medical practitioner who was involved with Amoy Canning, Harry was born in Amoy (Xiamen) and moved to HK at the age of 14. After graduation from St John’s University in Shanghai in 1948 with a degree in chemistry, he worked for Amoy Canning in HK for 8 years, then worked as marketing manager for Union Carbide Asia for 3 years before returning to Amoy where he focused on research and development. Feeling underappreciated at Amoy, Harry joined Shui Hing department store as general manager at the invitation of the owner, his SJU classmate Daniel Koo (whose brother founded the TV manufacturer Promotors, see linked article below). During his 5 years at Shui Hing, Harry gained important experience in consumer marketing and built up a successful track record. His friend Chou Wen-hsien of the textile conglomerate Winsor Industrial recognized his talent and had encouraged him to start his own business for many years but it was not until 1968 at the age of 45 when he finally agreed and took the plunge. Winner Food Products (so named as a number of Chou’s ventures also had the name Winner) was launched with HK$500,000 in total paid up capital with additional $2 million back-up cash from Chou. As the principal contributor of capital, Chou owned 80% while Wong owned the remaining 20% although Wong had full management authority, a salary equivalent to what he earned at Shui Hing and share of 20% of the firm’s profits. Harry was not content to be making another conventional food items where there are lots of competition. His initial focus was frozen food and a research lab was set up at the canteen of one of Chou’s textile mills with a chef whom Harry knew from Amoy and his assistant from Shui Hing. But soon he gravitated towards instant noodles – a market with huge potential, little competition and healthy profit margin (for example, the sale price of Doll noodles was 60 cents at the time but the cost was only 30 cents, representing a 50% profit margin) at the time. Instant noodle was invented in Japan by Nissin founder Ando Momofuku in 1958 and when Winner was founded, there were no local manufacturer of instant noodles in HK and imported Japanese instant noodle have yet to gain acceptance in the marketplace. Harry first imported noodle cakes from Japan and sold them under the Doll brand, an easy to remember name with a catchy logo he came up with. Instead of a push strategy (relying on stores), Harry decided to focus on pull by generating demand from the end consumers. At the time TVB was only launched the year before and the TV advertising market in HK was in its infancy. Harry saw the huge potential in this new form of marketing and sponsored a 5 minutes game show segment featuring Doll noodles in the hugely popular Enjoy Yourself Tonight (EYT) show on the new network which ran for 5 days a week for six months. It also sponsored many variety shows and community events organized by the Urban Council and the kaifong welfare associations across HK where the noodles were handed out. The gamble paid off and Doll noodles were soon flying off the shelves and captured half of the instant noodle market in HK. To keep up with the soaring demand, Winner started manufacturing instant noodles themselves under the subsidiary Winston Noodle Products which was 60% owned by Winner. A Japanese trading firm and a Japanese noodle manufacturer was given 20% equity each for supplying flour, oil and packaging materials. To differentiate from the Japanese competition, Harry made the soup base more Chinese tasting and made his noodle bigger than his Japanese competitors – allowing for two servings instead of one. Once Winner established its presence with instant noodles, it began diversification into other areas in the early 1970s. The production of instant noodles required cooking oil and at the time, the edible oil market in HK was dominated by peanut oil produced by Hop Hing and Lam Soon. 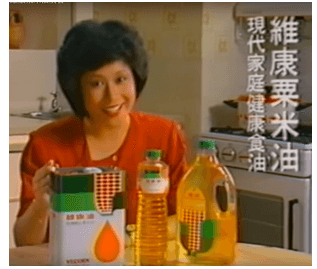 Convinced that the market was getting more health conscious, Winner launched Vecorn corn oil (維康粟米油) which contained less cholesterol than peanut oil in 1971. Vecorn was sold as a standalone product and used for production of Doll noodles. To highlight the clarity and purity of Vecorn oil, Harry packaged them in transparent plastic container which was rather innovative as other edible oils at the time mostly came in tin cans. Despite heavy marketing, Vecorn did not sell well in its first year as the market did not appreciate its quality and hence not willing to pay a premium. Harry finetuned his strategy by focusing on younger housewives with smaller families and marketing through cooking schools and finally Vecorn found its niche and captured 25% of the edible oil market. Another area which the firm went into in the early 1970s was machinery to mass produce spring rolls, which are popular in Chinese restaurants around the globe. The technically minded Harry Wong had developed machines to make two of the main ingredients of spring rolls – bean sprout and spring roll pastry and secured patents for them. The machines were sold or licensed to spring roll manufacturers worldwide starting in 1972 and in 1973, the firm started making frozen spring roll pastry themselves and at its peak sold 500,000 bags of spring roll pastry per month. In 1974, Winner started making bean sprouts and bean curd and the Doll brand frozen dim sum was also launched. In 1975, Winston Oriental Food Inc was established in the US to manufacture spring roll pastry and the firm also began trading with China. During this period, the firm also operated a chain of 6 fast food outlets from 1972-74 but folded them to focus on manufacturing. 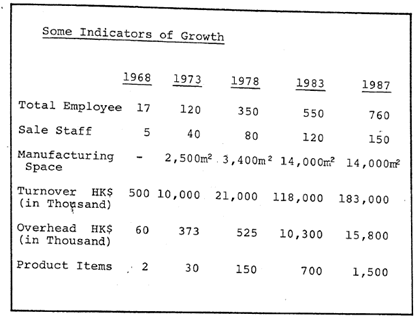 By 1978, Winner was doing HK$21 million in sales with 350 employees producing 150 different items. The same year, Winner began production of dry roasted peanuts and in 1979, it acquired two firms – Fanyo Food Products (汎洋食品) to expand into frozen fish and meat balls and Wintai Food Manufacturers (永泰食品) to expand into snack food. As China opened up in 1978, Winner also became one of the pioneers and opened up a number of joint ventures in Beijing, Tianjin, Qingdao, Fuzhou and Shanghai to produce frozen food for exports in 1979 and 1980. In the late 1970s, Winner began to look for larger manufacturing space and in 1981, the firm opened its HK$50 million, 135,000 sq ft plant at the Tai Po Industrial Estate. By 1981, the sales of instant noodles in HK exceeded 6 million packs per month and had reached saturation with strong competition from Japanese competitors in the high end and Taiwanese competitors in the lower end while Doll maintained leadership in the mid-range and 45% share of the overall market. In November 1982, the American food giant Beatrice Foods which was expanding rapidly under the leadership of CEO James Dutt acquired 74% of Winner for an undisclosed sum while Chou and Wong retained 26%. Beatrice received 4 board seats while Chou remained as chairman, Wong as managing director and long-time executive Betty Lam (林李儀瑋, second wife of famous photographer Robert Lam) as general manager. While Beatrice did not interfere with Winner’s operations, several major changes took place at Winner in the mid-1980s. In 1982, Winner moved into production of Tetra Pak drinks under brands such as Wong Lo Kut herbal tea, Green Spot orange drink, classic Ribena and Doll soya drink. In 1983, the management decided to sell the Vecorn brand of corn oil to Lam Soon, best known for its Knife brand of cooking oil. The same year, the popularity of Nissin’s “Cup Noodle” prompted Winner to launch Doll Bowl Noodle. During this time, the frozen food market started to take off as supermarkets and refrigerators became more popular and got a further boost when the newly emerged convenience store chain 7-11 began selling microwaveable food in 1985. By 1987, frozen food accounted for 40% of Winner’s sales, surpassing instant noodles which was 35% while snack and beverage each represented 10%. The same year, the parent company Beatrice was acquired in a leveraged buyout by Reginald F. Lewis’s TLC in 1987 and to pay off its debt, TLC began breaking the group up and started shopping Winner around in 1988. Potential suitors included Nestle but in 1989, Winner’s long-time competitor Nissin acquired Winner in conjunction with Japanese trading house C. Itoh for HK$248 million. Under Nissin’s management, the business continued to grow and today the combined Nissin/Winner operations is the fifth largest instant noodle maker in China. After the sale of Winner, Chou Wen-hsien became very involved in Chinese medicine right up to his death in 2007 while Harry Wong retired to Vancouver and remain active and youthful in his 90s. Hong Kong, Pokfulam, Hong Kong SAR. This article was first posted on 2nd February 20018. 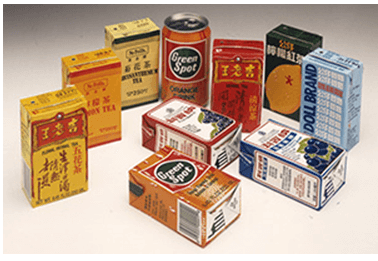 Q+A 27 Green Spot – popular 1950s soft drink – To Kwa Wan/Aberdeen factory?